The wrong phone system could be haunting your business - and we’re talking about problems more serious than ghosts and ghouls. From increased costs to issues with scaling, we’ve identified seven important ways that a less than ideal phone system could be holding you back. You’ll be surprised at how much of a difference this can make to your bottom line too. 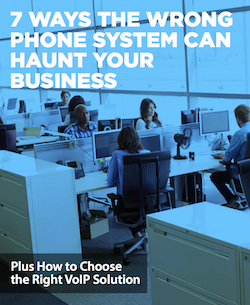 To discover if your business is suffering from a bad phone system - and to find out how to choose a better one - read our latest guide.